I get asked all the time how I come up with my stories. What’s your inspiration? How do you think up those crazy ideas? They seriously just come to me. I could be anywhere, anytime, doing anything when an idea hits. It’s like a phrase pops in my head. Or a passing thought flutters through my consciousness. For example, I’m out running and a bunny zips across the path. First, it scares the crap out of me, but then a thought shoots through my mind. Maybe a vampire just crawled out of the ground and scared it. Or a branch cracks nearby and an idea comes to mind that it cracked because a giant stepped on it as it was trying to sneak up on me. The only downside of an active imagination is that I sometimes freak myself out on the trails. But it makes me run faster…. Most of the ideas that pop into my head don’t turn into novels, but that’s okay. I think the biggest thing is that I’m open to ideas. I think that’s what allows the ideas to come. No matter what aspect of life, I think that if we’re open to possibilities that’s a good thing. It might open the door to new job opportunities, fun adventures, or chances to meet new people. If your eyes are open, looking for interesting things, that can make your day pretty interesting. 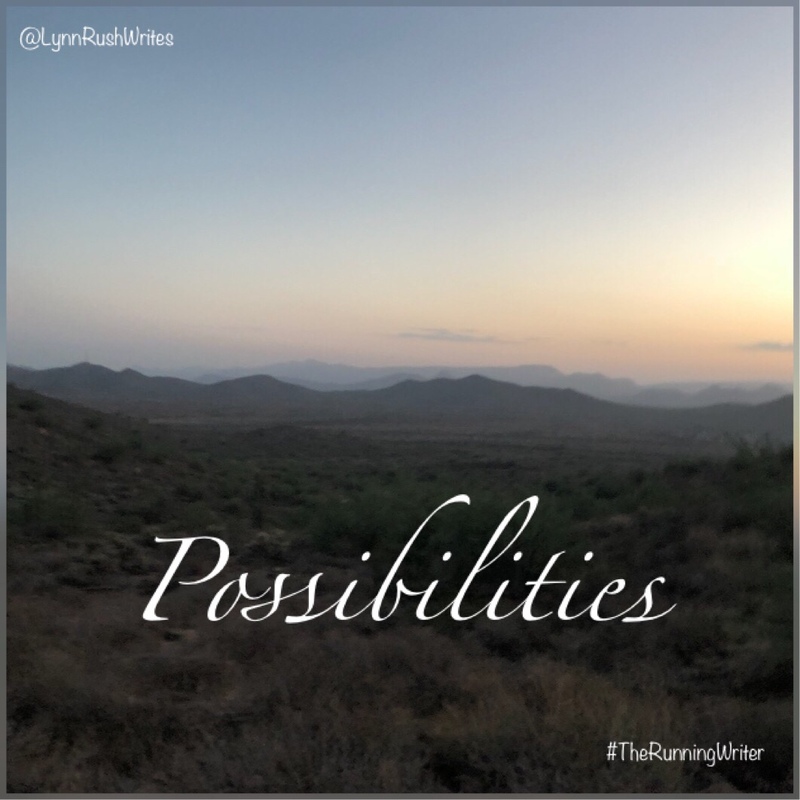 So what possibilities are you going to see today?